The Chicago Travel & Adventure Show returns this weekend to the Donald E. Stephens Convention Center at 5555N. River Rd. in Rosement. 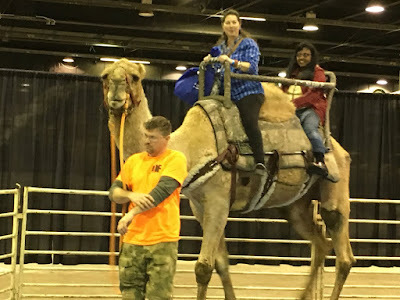 Head out on Saturday or Sunday for the 14th annual show, which will feature exhibits from all corners of the globe, demonstrations, entertainment and activities. The show runs from 10 a.m. to 5 p.m. on Saturday and 11 a.m. - 4 p.m. on Sunday. This year there will be 60 first-time exhibitors, so even if you've attended in the past, there will be plenty of new places to explore. Also included in the price of admission is access to dozens of inspirational, educational and culturally focused sessions on five stages located right on the show floor, along with hands-on activities for the whole family. A Wellness Travel Experience pavilion is a new addition this year that showcases trends in wellness travel. There are also seminar sessions with some of the world's top travel experts, including Rick Steves, Pauline Former and Samantha Brown.